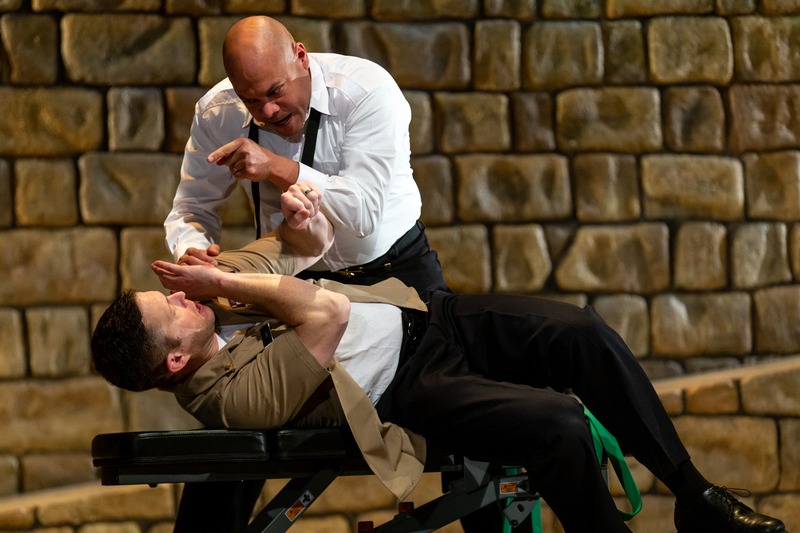 The green-eyed monster is a hydra-headed beast in the Oregon Shakespeare Festival's staging of “Othello,” presented by the American Repertory Theater through Feb. 9. Powerfully subdued, the production does not lean its full weight on what Samuel Coleridge called the “motiveless malignity” of villain Iago, who persuades the African-born Venetian general of the title that his young, white wife has been “making the beast with two backs” with a military subordinate. Here, Iago has as his accomplice an entire xenophobic, prejudice-ridden society in which racism, misogyny, religious entrenchment and a lurid mistrust of the other are allowed to thrive. Naturally and with alarming ease, director Bill Rauch makes that society our own, casting Othello as an admiral in today’s U.S. Navy and an immigrant to the country he serves. But what is most affecting in this fleet and thoughtful staging – which is helmed by Harvard grad Rauch, whose previous productions of “All the Way” and “Fingersmith” also played at A.R.T. – is the contrast between its measured tenderness and the Bard’s brute, animalistic imagery. The latter is unflinchingly rendered here, with "the Moor" being referred to as an "old black ram," a "Barbary horse," "the thick lips" and worse. As jarring as the bigoted language is, the production proves subtler. It moves from cellphone-wielding business-as-unusual in Venice, where the Moor and Desdemona’s elopement sounds a racist alarm that is quelled only by the urgent need for Othello’s services in Cypress, to a constrained if sparking intimacy on the island itself, where events unfold on the docks (where the troops are welcomed by a dignified Muslim governor), in the streets and in the naval outpost’s exercise room. Despite the streamlined nature of the production, in which twelve actors assay all of the roles, everywhere is evidence of a diverse, presumably divided culture. Butler is an at-first buoyant if somewhat smug old soldier who, though co-opted by his adoptive employers, still speaks with a lilting African accent that emphasizes the musicality of his lines. (The Lost Boys of Sudan were apparently an inspiration.) But Butler’s increasingly fraught admiral, wrongly convinced of his wife’s infidelity, ultimately seems to succumb less to the green-eyed monster than to an anguished, societally fueled notion of his manly honor. “Reputation,” as Othello’s misused lieutenant, Cassio, remarks, is “the immortal part of myself, and what remains is bestial.” Perhaps not jealousy, but the whole foul pot in which it has been stirred, makes Othello do it. Certainly the prolonged offing of Alejandra Escalante’s sorrowful, spirited Desdemona seems as painful for him as for her. Rauch has said of casting the production that it was "important to me that we not have 11 white people and the actor playing Othello. In order to reflect the complexity of the country and the world that we live in, we wanted a more multi-racial cast." 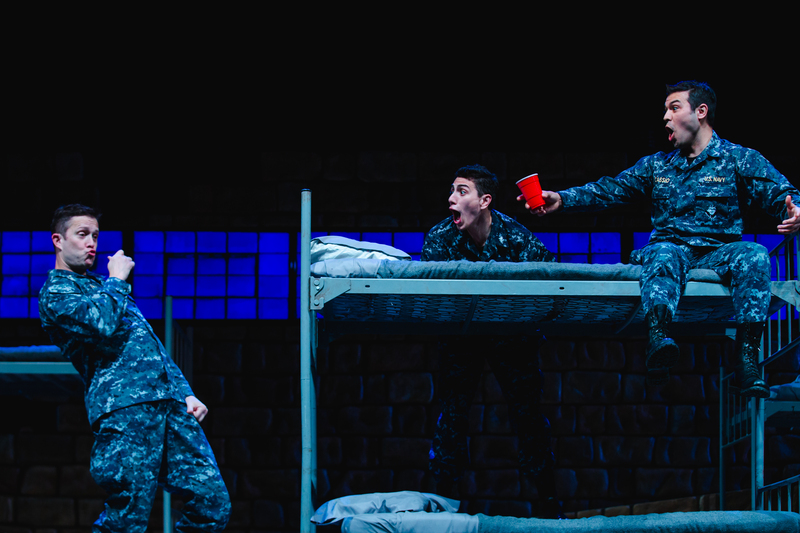 In the cases of Escalante and Amy Kim Waschke, an Emilia who is presented as not just Desdemona’s serving woman and Iago’s wife but as a petty officer in the Navy, the casting results in strong performances. Escalante’s Desdemona, rocking her several slinky ensembles, may be playfully and then earnestly obedient to her husband, but she is no docile dishrag. And Waschke’s pert, uniformed Emilia, though a sucker for her husband, proves a force vigorously fueled by love, loyalty and a furious indignation. 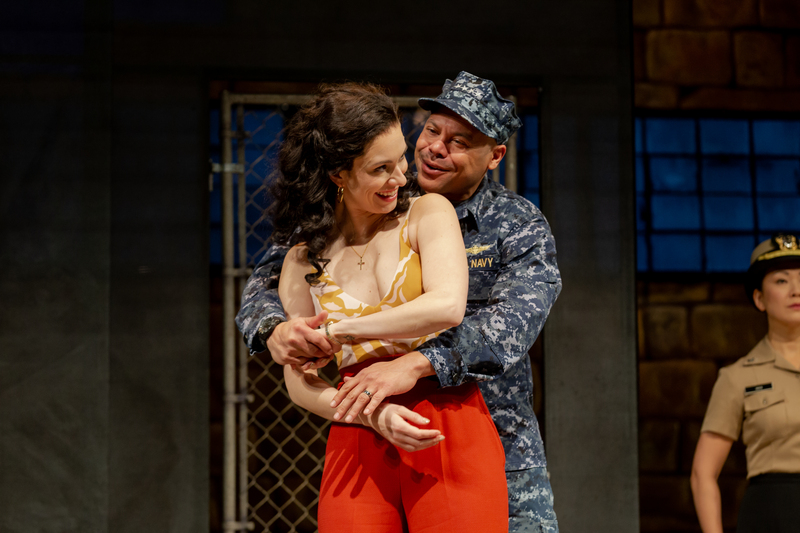 Among the production’s white guys, Stephen Michael Spencer, variously gotten up in pink pants, beach shorts and coveralls, gives a broadly comic performance as Iago’s dupe, Roderigo, a sort of fuming camp follower hoping – and paying big bucks – to gain Desdemona on the rebound. But Danforth Comins, in an unusually self-effacing performance of the role, portrays Iago as a deceptively ordinary if spiteful guy, juggling his diabolical schemes with only a small serving of relish. Even in Iago’s direct addresses to the audience (for which the stage darkens as the house lights brighten), Comins maintains a low-key, butter-wouldn’t-melt-in-my-mouth demeanor that does more than just personify what Hannah Arendt dubbed “the banality of evil.” It also serves the production’s aim of making all of complicit society, and not just one clever, showboating psychopath, the villain. Moreover, it gives Shakespeare’s play back to the guy whose name is on it. 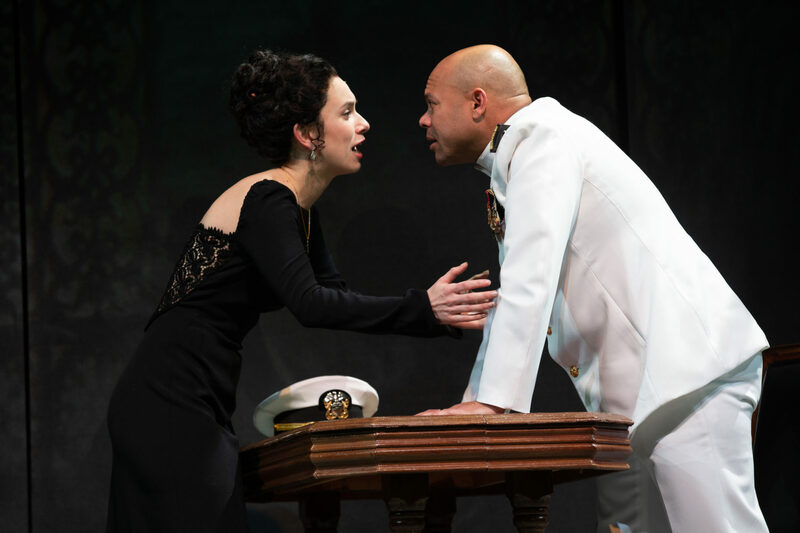 "Othello" is at the Loeb Drama Center in Cambridge through Feb. 9. 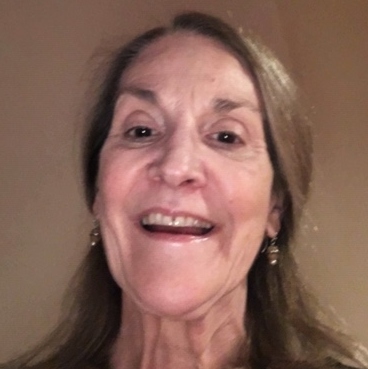 Carolyn Clay, a theater critic for The ARTery, was for many years theater editor and chief drama critic for the Boston Phoenix.